A Franklin County, Tenn., licensed practical nurse has been arrested for leaving a medication patch containing the powerful painkiller fentanyl stuck to a door in the Grundy County Courthouse last Friday. 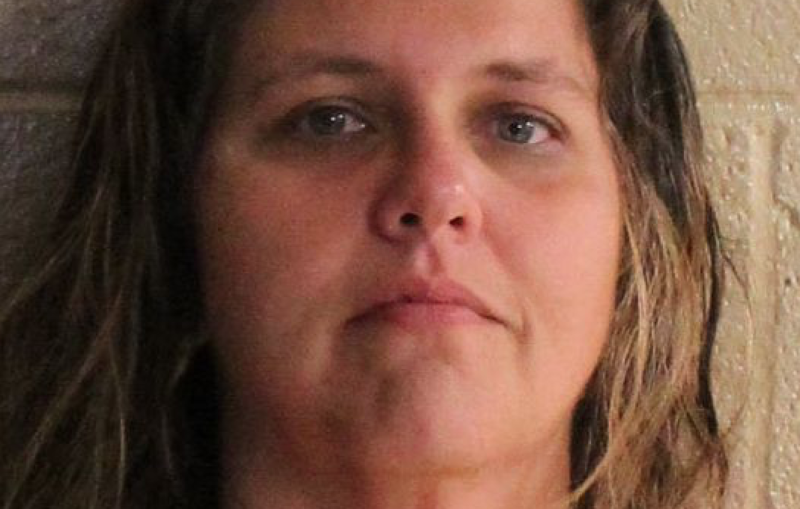 Heather Michelle Hodge, 41, of Estill Springs, Tenn., was caught on courthouse surveillance cameras that were used to identify her, Grundy County Sheriff Clint Shrum said in a statement on the arrest. In the videos, the person identified as Hodge can bee seen sticking a fentanyl patch first to a courthouse door frame, then removing it and sticking it to another entrance used to bring inmates into the courthouse. Hodge “confessed to the incident stating she had been instructed to leave it for an inmate,” Shrum said. Now, Hodge is charged with possession of schedule II drugs, possession of schedule II drugs without a prescription, reckless endangerment and conspiracy to introduce contraband to a penal facility. Hodge is being held without bond and is scheduled to appear in General Sessions Court on Aug. 8.